Overwatch League team Boston Uprising has suspended star player Jonathan “DreamKazper” Sanchez, 21, following allegations that he pursued a romantic and potentially sexual relationship with someone he believed to be a 14- or 15-year-old girl. In a tweet, the Boston Uprising wrote, “We take all allegations of this nature very seriously and as a result DreamKazper has been suspended from the Boston Uprising indefinitely.” The Overwatch League tweeted that they had been made aware of the situation earlier today as well. DreamKazper is one of the best Western DPS players in the League. 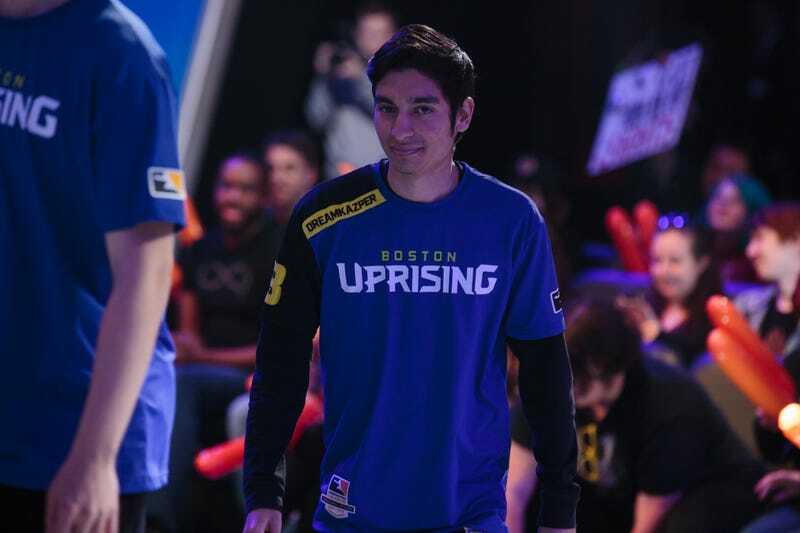 Relatively unknown prior to his Overwatch League debut, he quickly made a name for himself as a hyper-flexible asset to the Boston Uprising. Screenshots of conversations appearing to indicate that DreamKazper was communicating with a person he believed to be a 14- or 15-year-old girl surfaced today. The girl in question said in public postings that he sent her lewd images of himself—and received explicit pictures from her. Compete has reached out to the Boston Uprising, the Overwatch League, and DreamKazper for comment. We will update with further information as we receive it.